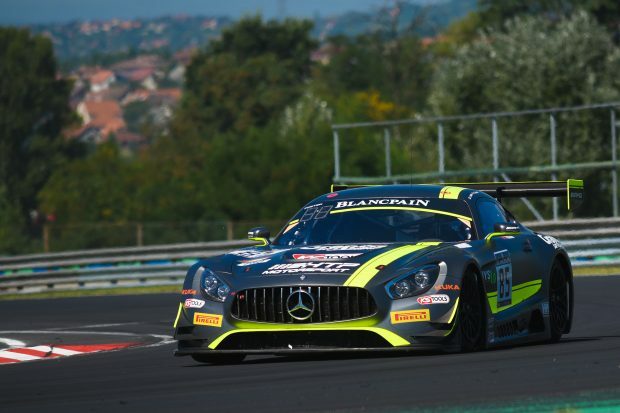 Jazeman Jaafar was out of the points at the Blancpain Sprint Series race weekend in Budapest after technical issues hampered the performance of the HTP Motorsport Mercedes AMG GT3 car. Jazeman, driving with regular team mate, Austrian Clemens Schmid, in the penultimate round of the Sprint Series, started the trip to Hungaroring with a drivers parade and autograph session in down town Budapest, revving up the excitement for the fans. On track action on Friday followed with two practice sessions producing strong results for the duo. The qualifying session saw Jazeman and Clemens put in solid flying laps, but their pace was only good enough for 25th on the grid. The team investigated the disappointing pace of the #85 car and worked hard to resolve the issues, but with the changes needed had to start from the pitlane for the qualifying race. Jazeman took the start for the qualifying race after the field had left the grid, slotting in at the back in 32nd place. Over the course of the first half of the race Jazeman made up ground, handing over the car to Clemens for the second half of the sprint. Clemens guided the car to improve a few more positions, finally crossing the line in 22nd position. Morning warm up for the main race produced seventh quickest lap for the #85 car, but with the #85 HTP Motorsport Mercedes AMG GT3 starting from the qualifying race finish position, an eleventh row grid slot was always going to give the drivers a big challenge to reach a points paying finish. Clemens took the start for this race, losing a few places in the melee of the drive off the grid, but recovering a few laps later to hand over the car to Jazeman for the second half hour of the race. Jazeman had a strong run and made up ground, turning a series of strong lap times to make his way through the field to a 12th place finish. Jazeman now turns his attention to the Blancpain Endurance Series with the final round of this championship taking place at Nurburgring in three weeks time.